It would be my last circus. I’d always loved the circus – everything about it. The popcorn and cotton candy, the distorted and loud fanfare music, the smell of sawdust in the enormous tent, and the animals. I especially loved the animals, garishly dressed in sequined headpieces that matched the tacky attire of their human counterparts. 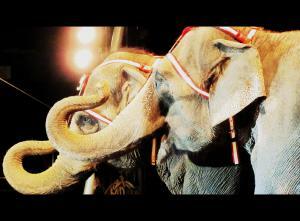 The animals – especially the elephants – always made my heart race. But last year, the elephants only made my heart break.